For the celebrations of these months as expected, we need snacks, practical and easy to make, because we do not know at what point we will need them. These delicious croissants are ideal for meetings, parties, or just for an afternoon in the company of friends, rest assured that they will be a hit at any event. Stuffed with cream cheese, Dijon mustard, Asiago cheese and chives, they will be a big hit. Preheat oven to 350 degrees In a bowl, mix the cream cheese and Dijon mustard. Extend and separate the croissants, spread a teaspoon of cream cheese mixture in each one, place cheese and scallion, close to shape the croissant. Place on a tray and bake for 12 minutes. Once ready, serve and enjoy. This recipe makes 16 croissants. Para las celebraciones de estos meses debemos tener a la mano bocadillos, prácticos y fáciles de hacer, ya que no sabemos en que momento los vamos a necesitar para una actividad. Estos deliciosos croissants son ideales para reuniones, fiestas, o simplemente para una tarde en compania de amigos, tenga la seguridad de que serán un éxito en cualquier evento. Rellenos de queso crema con mostaza dijon, queso Asiago y cebollinos, serán una sensación. En un tazón mezcle el queso crema y la mostaza dijon. Extienda y separe los croissants, unte una cucharadita de la mezcla de queso crema en cada uno, coloque queso y cebollino, cierre dando forma al croissant. Coloque en una bandeja y hornee por 12 minutos. Una vez listo, sirva y disfrute. De esta receta salen 16 croissants. 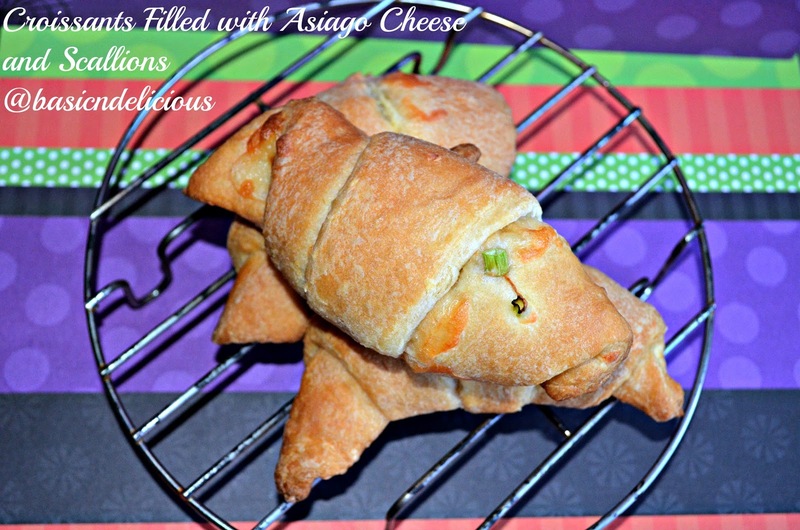 This entry was posted in Uncategorized and tagged baked, cheese, croissants, sacallions by Kathia Rodriguez. Bookmark the permalink.